Do you want your clients to be able to pay your invoices with PayPal? No problem—it's super quick to set up. Create a new invoice or edit an existing invoice. 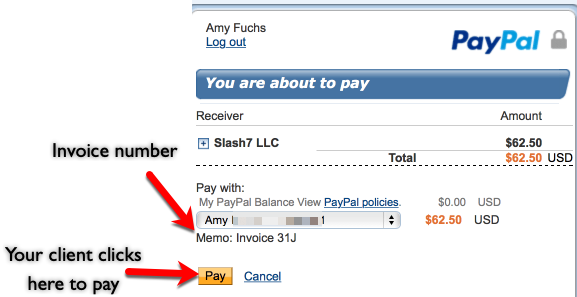 Check the Allow your client to pay this invoice with PayPal checkbox. Enter a title for the payment so you and your client recognize what the payment was for. 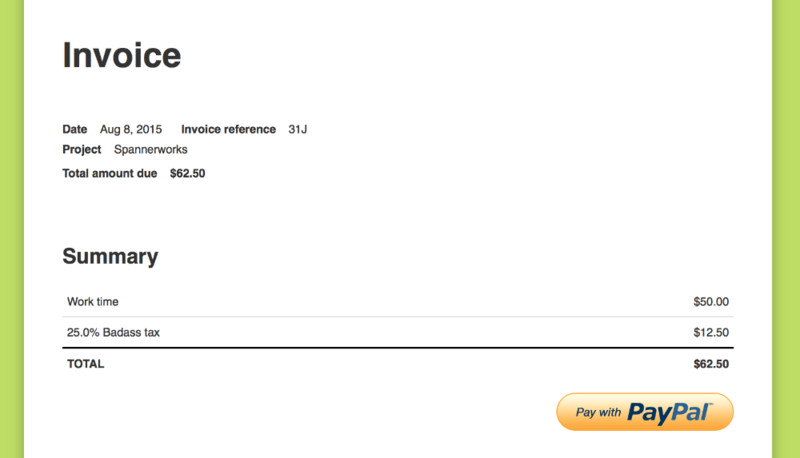 Noko automatically suggests the invoice number. Select the currency for PayPal. If your invoice is for a different currency than your PayPal account, you may need to enable accepting foreign currencies in PayPal. In your PayPal account, do the following: Go to "My Account" → "Payment Receiving Preferences", then set "Block payments sent to me in a currency I do not hold" to "No, convert to…". Click Save & Preview to save your changes. Share the invoice with your client by giving your client the private invoice link. Your client uses the private invoice link to view the invoice. Your client clicks on the big Pay with Paypal button. 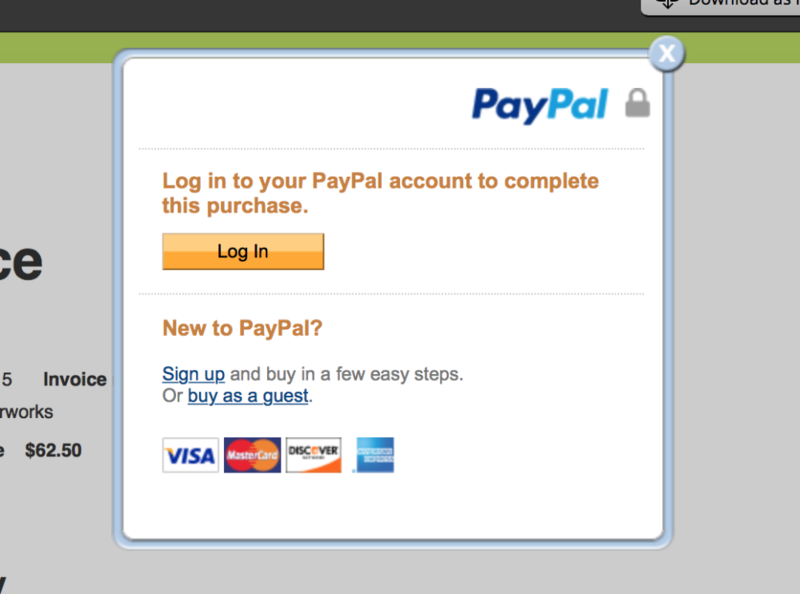 A popup opens asking your client to log in to their PayPal account. PayPal asks your client to confirm that they want to pay (and which payment method to use). Your client confirms and pays the invoice, PayPal shows a "thank you" message. As soon your client dismissed the window, the shared Noko invoice shows a big green paid stamp. And that's it! You've just been paid through Noko without having to print an invoice, mailing it to someone, waiting for a check to get back, running to the bank, hoping the check clears and all the other chores you usually what have to do to get paid. Once your client paid you, you'll see the transaction in your PayPal payment history. Noko adds a little note with the PayPal title that you configured earlier—this way you can easily find the invoice later. Note: in some cases (e-checks) it will take a few days for payments to clear. Once you see the green paid stamp in Noko you know that the payment arrived fully in your PayPal account. How do I see the current PayPal payment status of an invoice? You can view a detailed log of status changes to your invoice by clicking Show detailed payment log when viewing the invoice. Once you click this link, a detailed payment log shows up, listing every time Noko communicated with PayPal, including cancelled or aborted attempts to pay. I refunded a client in PayPal but the invoice in Noko still says paid? Right now, we don't automatically change the status of invoices if you refund them in PayPal. Please contact support to get your invoice status changed (e.g. to unpaid).